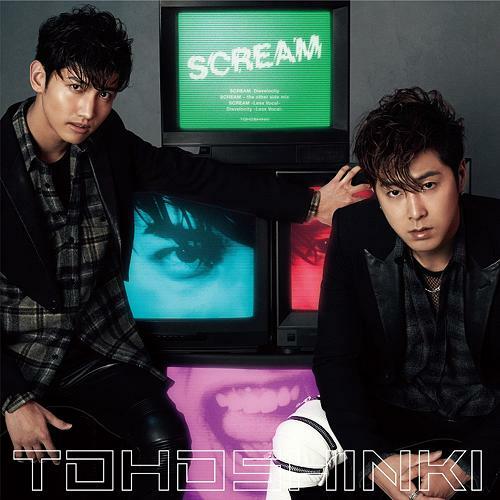 東方神起 Tohoshinki – “Scream” – Short MV!!! | Japaneze Jusu!!! ようこそ!!! By the way, do more people use オマエ instead of お前 these days? I know some words that are usually written with hiragana and/or kanji are written with katakana these days, but I’m not completely sure about these two. Hey! I know right! I am dying for the full MV too as I am also a big fan!!! Oh goood! You should do that! Apart from books and Japanese TV, music is another good way to learn and study Japanese. In relation to your question, “omae” would not be written in Katakana. In Katakana, “オマエ” then means “Before” which I assume is not the meaning you mean. I assume you mean as in “You”, referring to somebody else, correct? In this case you would write “Omae” as “おまえ” in hiragana to mean “You”. In terms of it being written in kanji, hmmm, I have rarely seen it written in kanji, so maybe best to stick to hiragana. Btw, お前 can also be read as “おまい” and “おめえ” all meaning “You”. I hope that helped! Ah, I get it now (and I learned something new). Thank you! 😀 I was confused about that line of the song for a good minute. XD A lot of people who put up the lyrics had オマエ or お前 down so I didn’t understand.